It's clouds' illusions I recall ... says the song. 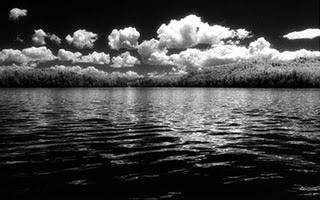 Since infrared photography is perfect for delineating clouds against a black sky I thought this slideshow on the BBC web site would provide a useful guide. So next time you will know what those clouds are called. It's a pity there are no infrared shots ... so I've included one of my own here.